Louis Aragon. Aragon, Louis, photograph. The Library of Congress. 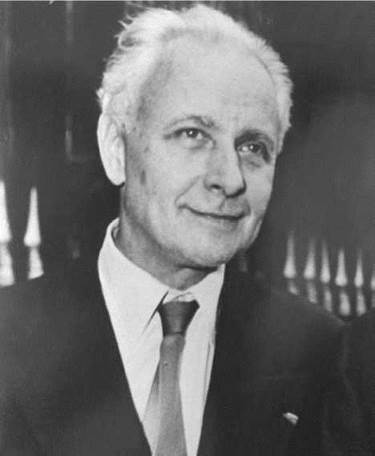 Louis Aragon was a writer, poet, and critic who analyzed the underlying messages in the literature and politics of France. Giving his voice and images to the art of France, Aragon was a leading influence on the shaping of the novel in the early to mid-twentieth century. He was also a founder of the Dada and surrealist movements. A Child Prodigy. Aragon was born in the Beaux Quartiers section of Paris on October 3, 1897, to Marguerite Toucas-Massillon and Louis Andrieux Aragon. His mother was single, and his father was already married. To hide the circumstances of his birth, his parents arranged for him to be brought up as the adoptive son of his maternal grandmother, Claire Toucas. At fourteen months he was reunited with his parents, though he was brought up to believe that his mother was his sister, his father was his godfather and tutor, and his grandmother was his adoptive mother. Aragon was reading and writing even before he started attending Madame Boucher’s private school in 1906 and the Ecole Saint-Pierre in 1907. He completed his first novel at age nine. In 1912, he went to the Lycee Carnot in Paris, earning degrees in Latin and the sciences in 1914 and in philosophy in 1915. In 1908, he enrolled in the Faculte de Medecine de Paris, met Andre Breton at Adrienne Monnier’s avantgarde bookshop, and his writing came to the attention of Guillaume Apollinaire. When Aragon published his first article on Apollinaire, ‘‘Alcide,’’ in the journal Sicou (1917), Apollinaire asked Aragon to write a review of his play The Breasts of Tiresias (1917). Wrote While Serving in World War I. By this time, France as well as much of Europe were embroiled in World War I. While the 1914 assassination of Archduke Franz Ferdinand, the heir to the throne of Austria- Hungry, invoked a domino effect of war declarations because of entangling alliances of many European countries, the Great War was also caused by various military, economic, and ethnic rivalries as well. World War I was primarily fought in trenches on the Western Front, including France. In 1917, Aragon learned the truth about his parentage after he was called into the French infantry, where he met up with fellow draftee Breton. Aragon was sent to the frontlines as a medical orderly. In the midst of battle, he composed some of the poems that appear in his first collection, Bonfire (1920). He also began to write his first novel, Anicet, or, The Panorama (1921), and the narrative The Adventures of Telemachus (1922). Aragon served in the military until 1919, taking part in the Allied military occupation of the Rhineland and Saar. In the spring of 1919 he, Breton, and Philippe Soupault formed a group dedicated to establishing a new art form, one that reached beyond realism to a dreamlike quality. Medicine Abandoned for Literature. Returning from war, Aragon resumed his medical studies, pondered his literary career, and set out to establish a new kind of literary movement in postwar Paris. The horrors of the Great War compelled some artists to comment on the new way they saw existence and to reject the principles upon which society was founded. Throughout 1920, he and his group staged events at venues for this unique movement called Dada, which included literary as well as artistic elements. Though the origins of the word ‘‘Dada’’ are unclear (it is most likely just a nonsense word), Dadaists wanted to found an alternative to established artistic conventions. Dadaist events included staged scandals of anti-art art where, for example, spectators were provided with hatchets and invited to destroy the exhibits. Aragon also considered joining the French Communist Party—as did many intellectuals in Europe excited by the potential they saw in Communism, especially after the Russian Revolution—but temporarily abandoned the idea. Aragon’s fiction also began to appear in print, including The Panorama (1921) and The Adventures of Telemachus (1922). Failing his second doctoral examination, he withdrew from medical studies to concentrate on his literary career. He published short stories in France and Paris at Night (1923) in Berlin. In March 1923, he became editor in chief of the weekly Paris-Journal, but he stayed in the position only one month. During the summer of 1923, Aragon began exchanging love letters with Denise Levy, whom he later identified as the model for Berenice, the heroine of his novel Aurelien (1944). In 1924 and 1925, Aragon worked with Breton and others to promote surrealism—the movement that included a style of writing that has surprising, dreamlike images. “Doctor of Dada’’. Another of his novels and two additional narratives of the 1920s survived Aragon’s getting frustrated and burning several segments. In between two critical works, he published the most important work of criticism in his career, Treatise on Style (1928). In November 1928, Aragon happened to meet the Russian poet Vladimir Mayakovsky at a Montparnasse cafe. The next day, Mayakovsky introduced him to his sister-in-law, Elsa Triolet. Aragon and Triolet immediately fell in love and married soon thereafter. Commitment to Communism. Aragon had joined the French Communist Party in 1927. His commitment to communism became more intense after he met Triolet, an award-winning novelist who was herself a dedicated communist. In 1930, the couple traveled to the Soviet Union to attend a revolutionary-writers conference, and Aragon returned determined to combine his art and politics. His provocative poem ‘‘The Red Front’’ (1933) earned him a suspended five-year prison sentence for allegedly inciting troops to mutiny. Writing for French Communist Party publications, Aragon praised the 1939 German-Soviet Nonaggression Pact. Signed only days before World War II began, the agreement stated the two countries would not attack each other and included the division of Eastern Europe into spheres of influence. (Despite this pact, the Germans later attacked the Soviet Union, drawing the Soviets into World War II on the side of the Allies.) One 1939 piece by Aragon, ‘‘Long Live the Peace!’’ (published in Ce Soir) provoked the French authorities into shutting down the newspaper. Served in Military During World War II. In September 1939 as Aragon was starting his major work, the narrative series The Real World, he was mobilized for war as a member of the French military. He was first sent to the 220th Regiment Regional de Travailleurs, a labor battalion to which politically suspect individuals— communists, anarchists, fascists, and others—were assigned. By February 1940, he was put in charge of a unit of stretcher bearers attached to the newly created Third Division Legere Mecanique. Captured by the Germans in Angouleme, Aragon led a daring escape, getting thirty men in six vehicles to freedom in June 1940. Two days later, he volunteered to rescue several wounded men who were trapped by enemy fire. For this action, Aragon was awarded a Croix de Guerre as well as the Medaille Militaire. Postwar Emphasis on Nonfiction. Immediately after World War II ended, Aragon returned to writing nonfiction and took on the editorship of the journal French Letters, for which he had served as a staff writer since 1949. During the 1950s, the still-confirmed communist also worked to strengthen literary alliances between France and the Soviet Union, published several works on modern painters and art, and continued to offer loving tributes to his wife right up until she died of a heart attack on June 16, 1970. Aragon himself died peacefully in his sleep just before Christmas 1982, after two months of deteriorating health. Mohandas Gandhi (1869-1948): Primary spiritual guru of India, and a major leader of the Indian independence movement. James Joyce (1882-1931): Irish expatriate author, considered to be one of the most influential writers of the twentieth century. Vladimir Mayakovsky (1893-1930): Russian poet and playwright, considered one of the forerunners of Russian futurism. Pablo Neruda (1904-1973): Chilean poet and communist; controversial winner of the Nobel Prize for Literature. Franklin Delano Roosevelt (1882-1945): American politician and thirty-second president of the United States. He was so popular with the people he was elected to the office four times. Louis Aragon is more than a writer to be studied for a style or a running theme. His themes were his life and his life was a composite of concerns not just with personal motifs but entire literary movements. Thus, Aragon is a twentieth-century personification of Dada. He was also at the forefront of the period in which he lived and wrote, with his pacts with surrealism and communism. All three movements make up the bulk of Aragon’s fiction, poetry, and essays in his collected works and in his posthumous publications. Postwar Novels Aragon’s work had a great impact on others. Some of his postwar works can be seen as anticipating the nouveaux romans, or new novels, of postmodern writers as varied as Alain Robbe-Grillet and Kathy Acker. As were the existentialists and others he included in his ambitious studies, Aragon was a commanding intellect of la France reveillee (France awakened). The Automatic Message (1933), by Andre Breton. In this important nonfiction treatise, the author discusses automatism in the context of surrealism. Last Nights of Paris (1929), by Philippe Soupault. In this small novel is some mystery, some obsession, and much Dada. Djinn (1981), by Alain Robbe-Grillet. This nouveau roman, or new novel, presents itself as one of the most experimental and most challenging reads. Because Aragon’s career was marked by distinct, even contradictory phases, he took criticism from two different sides. As one of the leading theorists of the avant-garde art movements of Dada and surrealism, he received fairly favorable, though limited, criticism of his writing. In response to his surrealistic novel Paris Peasant (1926), for example, several critics gave high praise. Biographer and critic Lucile F. Becker, for instance, called the book ‘‘one of the masterpieces of French twentieth-century literature.’’ As a loyalist to the French Communist Party, however, Aragon received several conflicting responses. Early on he was labeled an opportunist or political hack by some observers, while his political allies praised this ‘‘Poet of the Resistance’’ whose stirring patriotic works inspired the nation’s fight against the Nazi occupation forces of World War II. By the 1950s, as a writer of politically oriented fiction for a limited audience, Aragon was little noticed outside his political circle. ‘‘Even in France,’’ Becker reported, ‘‘very little critical material [had] appeared on Aragon other than in the Communist press, which hailed all of his work indiscriminately.’’ It was not until the late 1950s and the appearance of his series The Real World—a cross between a communist manifesto and a kind of personal communist coming-out—that the author reached a wider critical audience, with such works as the final novel in the series, Holy Week. 1. In the 1920s, Aragon made a transition from Dadaism to surrealism. In the 1950s, Aragon made a transition from surrealism to Communism. His series The Real World demonstrates these ‘‘themes’’ and expresses his personal and stylistic transformation. Make a group effort to distinguish these literary and political shifts by surveying the three movements. In pairs, do research in order to define one of the three: Dadaism, surrealism, and communism. Share your definitions as a group. How are the movements similar? How are they different? 2. Historians look back on the periods of 1917 through 1920 and the 1940s through 1950s as those involving the ‘‘Red Scare.’’ In the United States, the fear of communism’s infiltration was so great that accusations were made against citizens who might or might not have been ‘‘commies,’’ ‘‘pinkos,’’ or ‘‘reds.’’ Research the Red Scare by investigating such phenomena as the anticommunist witch hunts, McCarthyism, slander, libel, and propagandist technique. Where would Aragon fit into your research? How did he combine his art and politics? 3. The literature and art of any period is a response—to social concerns, political attitudes, or cultural events. As a group effort, find several selections of social or political music or art. Make copies to teach each other in a seminar session. For instance, if one person chooses ‘‘L’internationale’’ to share with the group, what could be said about this Soviet national anthem? Who wrote the lyrics? Who composed the music? What, in addition to patriotism, is being expressed? 4. To put Aragon’s military contributions into perspective, conduct a group investigation into France’s part in World War II. Search for military documents, personal or professional letters, newspaper entries, journal entries, or anything useful in aiding your understanding of France and its fighters. Who were their allies? What goals did the resistance groups fight for? How did they perform rescues? What is meant by the Fall of France? Adereth, Max. Commitment in Modern French Literature: A Brief Study of ‘‘Litterature Engagee’’ in the Works of Peguy, Aragon, and Sartre. London: Gollancz, 1967. Becker, Lucille F. Louis Aragon. Boston: Twayne, 1971. Bree, Germaine. Age of Fiction: French Novel from Gide to Camus. New Brunswick, N.J.: Rutgers University Press, 1957. Cardinal, Roger, and Robert Stuart Short. Surrealism: Permanent Revelation. New York: Studio Vista/ Dutton, 1970. Roy, Claude. Aragon. Vichy, France: Pierre Seghers, 1951. Mobilio, Albert, ‘‘In Short: Fiction,’’ review of The Adventures of Telemachus. New York Times (March 1, 2008). Rahy, Philip, ‘‘From Surrealism to Socialism.’’ Nation (September 26, 1936). Roudiez, Leon S. review of Holy Week. Saturday Review (August 8, 1964). Babilas, Dr. Wolfgang. Louis Aragon Online. March 29, 2007. Retrieved February 24, 2008, from http://www.unimuenster.de/Romanistik/Aragon/welcome.html. IEEFF.org. Dada in Paris. Retrieved February 24, 2008, from http://www.ieeff.org/paris.html.Last updated on May 17, 2007.